Scanned image of photograph showing Granton Square, former hotel. View of front of building. Commissioned during World War 2 as HMS Lochinvar. Information from R Mowat (RCAHMS) 2 February 1990. Closed down as HMS Claverhouse, 26 March 1994. Information: Lt Cdr R Mowat RNR, March 1994. 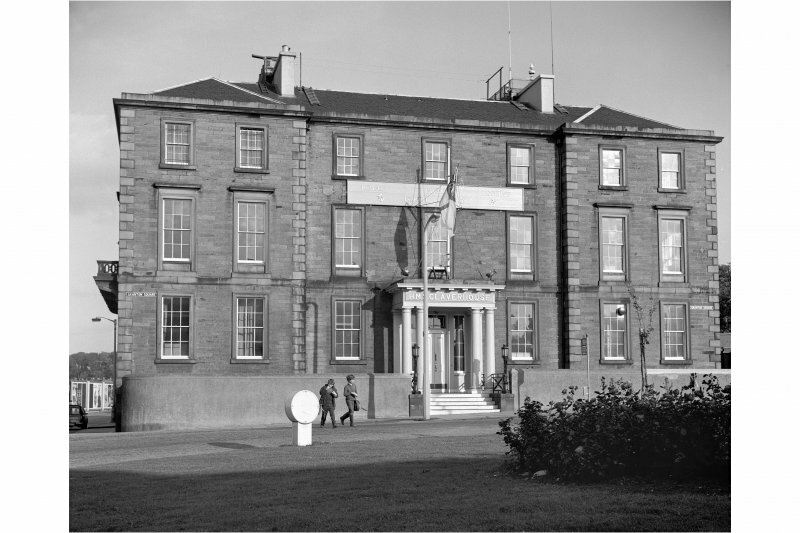 HMS Claverhouse was closed as a Naval Training Centre in 1994 and is still empty. Site recorded by GUARD during the Coastal Assessment Survey for Historic Scotland, 'The Firth of Forth from Dunbar to the Coast of Fife' 26th February 1996.